Why Did The Alignment Angle Change? The third generation of the Toyota RAV4 shares all of the same infrastructure with the Corolla and many other Toyota vehicles. The front suspension is easy to adjust, while the rear requires a little more attention. If you get one in your shop, it is what you do after you adjust the angles that can make or break the alignment. The RAV4 has electric power steering, and stability control is a very common option. These systems need to know the correct steering angle to operate. If it is not reset, it could result in the customer coming back with the VSA or steering malfunction indicator light on. The front suspension on the RAV4 uses a MacPherson strut design. Caster is not adjustable. Camber can be adjusted using additional parts. Toyota uses coded bolts with dots on the heads that indicate a fixed range of camber. But, the aftermarket has a better solution, with cam bolts that can adjust ±1.75 degrees. The rear suspension is a multilink design. Inspect the lower knuckle bushing for play and deflection on high-mileage vehicles. Another sign of a worn bushing is premature tire wear on the inside edge of the rear tires. The rear toe links use a sleeve that connects the two portions of the rod. The sleeves are problematic. The sleeves and jam nuts can come loose if you don’t take your time using the correct procedures. Don’t try to tighten both jam nuts at the same time. Instead, grab the sleeve with a crow’s foot and torque wrench and put an open-end wrench on the jam nuts. Tighten the sleeve to 15 ft.-lbs. 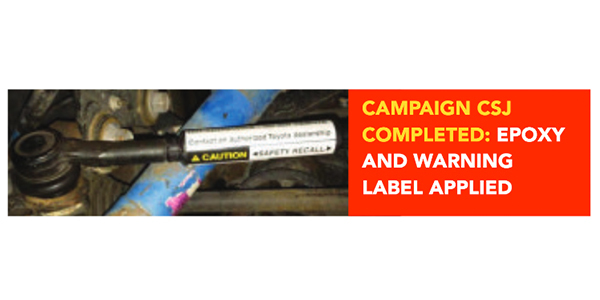 If you get a 2005-’11 Toyota RAV4 in your shop for an alignment with a complaint of either rear tire wear or a knocking noise, you need to be aware of a recall and inspection campaign Toyota issued in 2012. 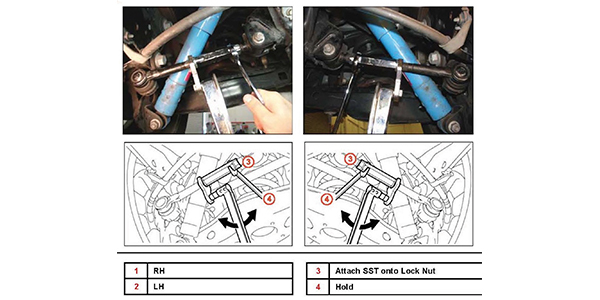 Toyota Safety Recall COJ involved inspecting the right and left toe links for looseness. Based upon this inspection, it may have been necessary to replace the arm(s). If a lower toe link was inspected and has passed, it will have an epoxy and plastic covering indicating that it passed the inspection. The bad news is that if the cover is there, the toe can’t be adjusted and must be replaced. There are aftermarket toe links that utilize a better design than the original Toyota part. 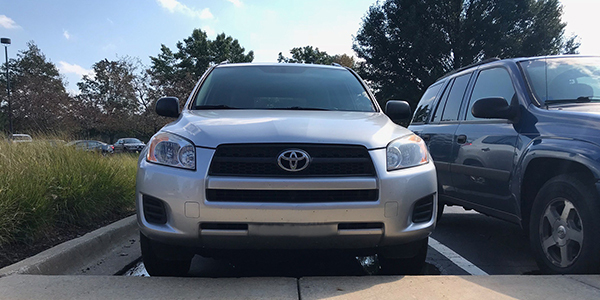 Most 2006-’13 RAV4 models are equipped with an optional Vehicle Stability Control (VSC) system that requires a scan tool and special procedure to perform a zero-point calibration of the steering angle sensor. It is highly recommended to do this through the OBDII port with a scan tool. If the system if not calibrated after a toe adjustment, the system will not operate properly and may illuminate the VSC malfunction light after the driver has picked up their RAV4. The Toyota VSC system uses the information from the steering position sensor and compares the information to the yaw rate sensor to determine what the car is doing. After the VSC is reset, it is necessary to drive the vehicle and turn the steering wheel to the right and left at the speed of 22 mph (35 km/h) for at least five seconds to calibrate the sensors and complete the reset. 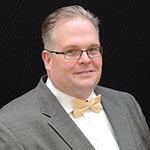 If this is not performed, the VSC may set a code and the sensor may read 1,150 degrees. This is not an indication that the sensor is faulty – only that it has not been properly reset.